So when Time & Oak co-founders Tony Peniche, David Jackson, and Josh Ringle got the idea of selling small sticks of milled, charred oak with a high surface area (achieved by cutting many slits against the grain to shorten the capillaries through which aging whisky travels) and brought it to Kickstarter, they were indeed standing on the shoulders of giants. The Kickstarter succeeded by raking in $195,00 in startup capital (exceeding the target of $18,000 by more than a factor of 10) and my first pair of Whiskey Elements arrived in the mail just before Christmas 2014. While I may be a skeptic (especially when it comes to flavoring whisky with syrup), I like to think I keep an open mind. In that spirit, I snapped each Element in half and poured 4 half-bottles of various liquids to try out this revolutionary product. 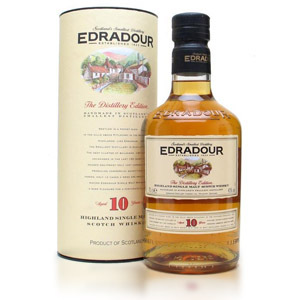 A single Element is intended to filter and flavor a 750ml bottle of whisky over the course of 24 hours or up to three weeks. An Element can be broken in half and used with a 375ml bottle for the same timeframe. In an attempt to test the Elements against a reasonable array of products, I chose Buffalo Trace Bourbon, Great King Street: Artist’s Blend, Speyburn 10, and Buffalo Trace Wheated White Dog. My hope was to amp up the apparent age of the bourbon, fill up and round out the oak flavor in Great King Street, give some body and flavor to the Speyburn, and turn the White Dog into some semblance of bourbon. I figured a mid-range bourbon, a low-end single malt scotch, a mid-range blended scotch, and a white whisky would give me a good idea of the versatility of the Element approach. After a single day, the White Dog took on a light golden color similar to young scotch, and proceeded to darken to the level of a young bourbon after a few days. While some additional vanilla and cake frosting flavors developed over the 5-day period, the White Dog never became anything but brown white dog, and still smells and tastes grassy, antiseptic, and reprehensible. I think I was expecting a little too much here. Conclusion: Maybe it needs more time, but more likely it needs a whole barrel and about three years. I had high hopes for adding a little oak to the subtle GKS. A day in, the whisky smelled more like an American single malt aged in new oak like Cut Spike than blended scotch. It also took on some green banana and coconut. By day two a weird gin-like aroma appeared, and by day three the entire bottle smelled and tasted like pine sap from start to finish. Yuck. This is wholly and irretrievably ruined. Conclusion: I could have stopped after 24 hours for an interesting but not improved whisky, but FOR THE LOVE OF GOD don’t leave it in longer than that with this whisky. I’m not sure what I was expecting here, as any bourbon already has gone through extensive conversation with charred new oak. What’s an extra couple of square inches of surface area going to accomplish? Not surprisingly, the bourbon became slightly more rounded and had some of the rough edges removed, but in the process became very slightly blander. In a blind taste test I might not have even been able to tell that there was a difference. Conclusion: Not worth the effort. So what’s the final word on Whiskey Elements? I’d say that it isn’t worth trying to turn vodka, gin, or any other unaged spirit into whisky. Maybe with a handful of Elements, but it would hardly be worth the price. I’m also not sure it’s worth using on bourbon. Josh Ringle from Time & Oak said in response to my questions that the CEO swears an Element will turn a bottle of Jack Daniels into Gentleman Jack, and that may be worth pursuing, especially with the “rougher” (cheaper) bourbons, where the Element can serve mostly to round off the rough edges and filter out some impurities. I was shocked by the effect on the GKS, and can’t fully explain it. 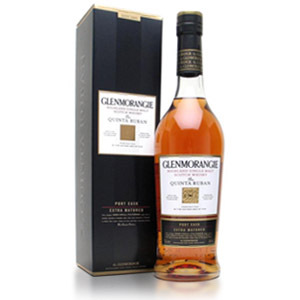 I may try again with a cheaper blended scotch like Cutty Sark in the future to see if the GKS was an anomaly. 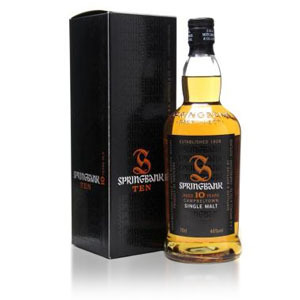 Finally, it seems that the Element was wholly successful in turning the $25 Speyburn 10 into an apparently much older, more flavorful malt. I wouldn’t risk this with a mid-range malt like Balvenie, but it might be worth trying with Glenlivet or one of the other sub-$40 malts. It might even be able to sand down the rough edges off of Finlaggan. I’d say that if you’re interested in Elements, purchase a pair of the Signature (charred oak) Elements ($12), snap them in half, and repeat my experiment with four half-bottles of your own choosing. Just pick whiskies that you can afford to waste, and make sure to fully clean out any empty bottles that you use for the purpose. While the website says to leave them in for no more than 3 weeks, Josh assures me that leaving them in the bottle indefinitely is fine. If you decide to remove the Element (perhaps if you reach a target flavor within less time), you’ll need to decant the bottle into another empty bottle or decanter to retrieve the Element. While you can re-use the Elements, the effect the second time around is likely to be minimal or even nonexistent. Other ideas from Josh’s testing include Crown Royal, Jameson, and Bulleit bourbon. Elements has already released new Smoked and Wine-flavored products (available for pre-order now). I’m hoping they expand to sherry, port, and other traditional finishing woods. Lastly, some words from Time & Oak, and as a thanks for reading this far, a coupon code! “Our product, which is perfect for tailgating and also makes a fine gift for groomsmen, is for anyone hoping to explore the world of whiskey and find what works best for them. We at Time & Oak believe there is nothing better than finding that perfect bottle of whiskey that comforts you after a long day of work. We hope that this will allow whiskey drinkers to broaden their horizons and present a more personal relationship with their whiskey. Note: I have not received nor will ever receive any considerations, payments, affiliate fees, commissions, or free products from Time & Oak or any other entity for the purpose of writing this review, nor have I been asked to modify the wording of my review in any way. I passed on the Kickstarter because I just wasn’t sure, but I went ahead and bought some of the smoke ones after reading this. I’ve been searching for a smoky bourbon for a while, and while High West’s Campfire Frankenstein’s monster blend of Islay, Rye and Bourbon is fantastic, it’s also $60 bucks. So I’m going to buy some cheaper bourbons (Old Grandad/Old Grandad 100, or maybe Four Roses) and see how this turns out. I’ll probably end up grabbing some of the standard ones and try using them in Finlaggan or Speyburn soon too. Or maybe try popping one into Bank Note or something, just to see if it has the same issues as Great King Street. Re-aging is fun but unless you’ve got a good grasp on proportions to use its a crapshoot. Some of the home distillers know how to get it right but it often ends up a tannic mouthpuckering disaster or only marginally different than the original product. Great post though, interesting to see how the different whiskies with their respective chemistry varied wildly in reaction. Strange things seem to happen when you throw the chemical equilibrium out of whack! Revisit them in a few months and tell us how things have shaken out. 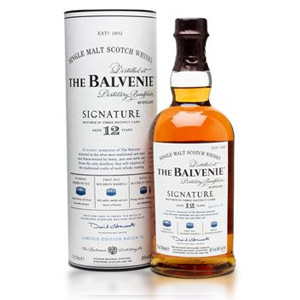 The inimitable http://whiskyscience.blogspot.com/2013/01/alcohol-strength.html points out one of the main problems; unless its cask strength (maybe BIB would work allright) you are going to get a very different flavor profile. To Michael: I had decent luck using Trader Joe’s Islay Storm (or Finlaggan if you’re on the West Coast) and Pikeville Rye (~$12)to make a Rye-lay on the cheap. Thanks for the suggestion about using Finlaggan and Pikesville to make a Rye-lay. Unfortunately Pikesville doesn’t seem to be common out here in California, but I will have to keep an eye out. Or maybe I’ll try using Old Overholt, or Rittenhouse, but I have a hard time just not drinking that one straight. I ordered some of these when they had their Kickstarter campaign going. They worked as described. I was happy with the product and plan to order more in the near future. Good stuff. I am awaiting my order of the smoked profile of the whiskey element sticks. I would like to try one of the sticks in a bottle of Evan Williams Black Label. I’d like to see how the stick will affect the pleasant banana-y scent and how it would either benefit or destroy the mouth-feel. 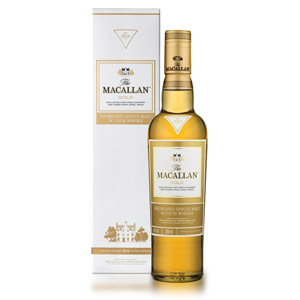 After reading this review I would like to try the other stick in a lower budget single malt scotch such as the Speyburn 10 you recommend or possibly even the Macgavin Speyside. Update: I wasn’t expecting two sticks in each package so I have a lot to work with. I combined Evans Williams and a bit of Woodford Reserve and used a stick in their 24 hours ago. I’m going to go 2 weeks for leaving the stick in there. I’m probably going to go crazy on the next try and do a Peat Monster/High West Campfire creation. I tried using the original with Jefferson bourbon ($25 – $30 retail). I left it in for the suggested 24 hours but didn’t see that much of a difference. Since I’m hard do discourage I put it back in for 3 more days and was rewarded with a much smoother, “sippable” whiskey. It’s not magic – you’re not going to convert rotgut into something potable, but from what I experienced, you can definitely improve a decent $20-$30 bourbon beyond the cost of the element stick.